Looking to pick up your first fine timepiece? These latest models will see you spoiled for choice without breaking the bank. In the 12 years or so that I've been writing about watches, the Clifton Baumaticmight be the most exciting timepiece to come from Baume & Mercier. Among the Baumatic’s many desirable features are its lengthy power reserve (120 hours), its antimagnetic movement (to 1,500 gauss), its chronometer rating (to within -4/+6 seconds per day), and its extended service cycle, which Baume & Mercier says is greater than five years. 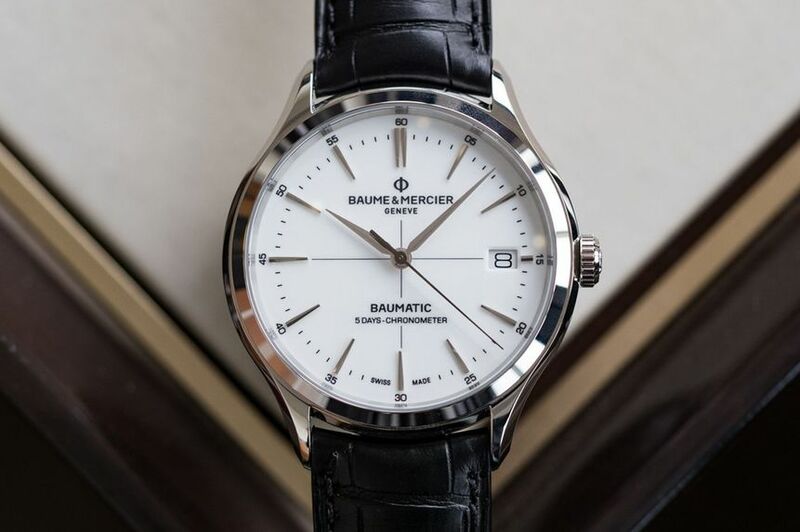 All of these are attributes that watch collectors have been conditioned to expect from watches costing much more than the Clifton Baumatic, which sits at US$2,990. The movement at the heart of the Clifton Baumatic is the caliber BM12-1975A, a movement whose base was developed by Richemont at the group level for use in a range of the group’s marques. The Seiko Presage SJE073 is the Presage that Presage fans have been waiting for. The only downside to the Presage models in general is that they’ve been a bit on the thick side, and for the SJE073, Seiko has introduced a new, slimmer movement that brings the case thickness down to just 9.8mm while the price tag is an equally skinny US$2,200. 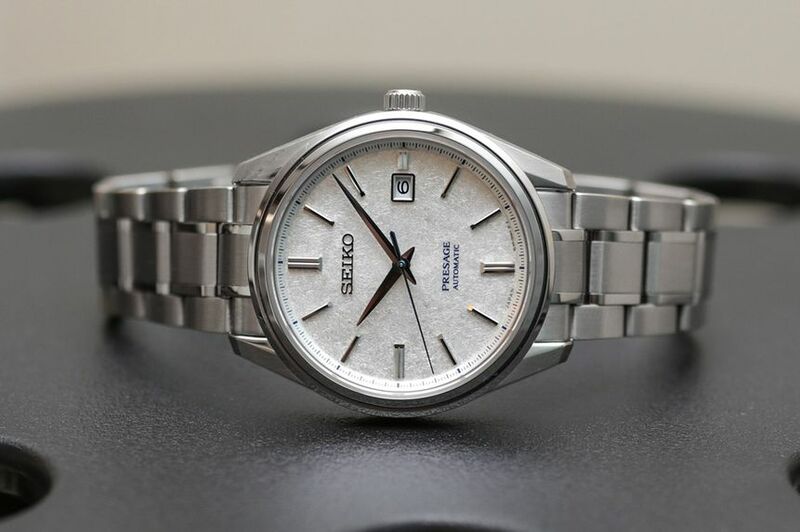 It’s a little more expensive than usual for Presage, however, you get Grand Seiko level “Zaratsu” case polishing and a gorgeous dial and handset, and it’s a first watch that could be, as a first watch should be, the last watch you’d ever need as well. The only potential gotcha is that it’s a limited edition, but again, as a first time owner, that just makes it more special. It's hard for me to call this a "new" watch, since it's really a variation on something well-know, and generally, well-loved, but I'm doing it anyway. 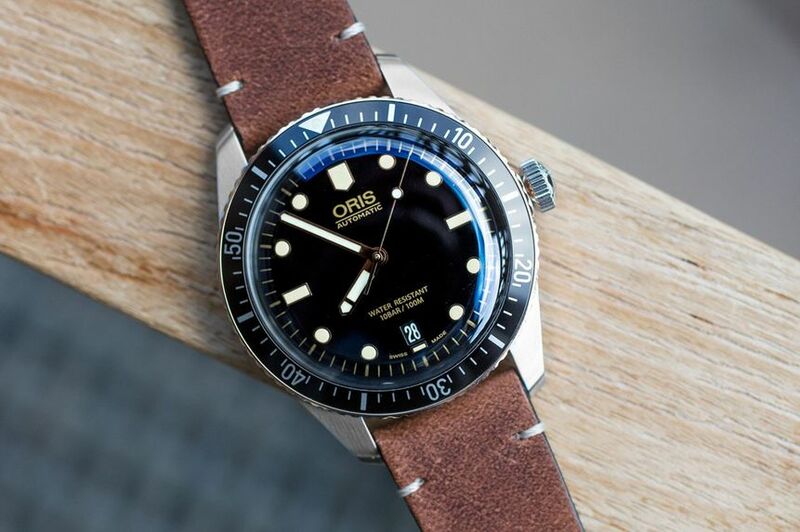 The Oris Divers Sixty-Five Bronze Bezel is, surprise, exactly what it sounds like: the Divers Sixty-Five dive watch with a bezel made of bronze. The two-tone look is super subtle though, and I actually think it adds a great extra touch to an already outstanding watch. To me, the 36mm version of this watch on a steel bracelet is one of the best buys in all of watchmaking at just a hair over US$2,000, and if you want to forgo the bracelet you can get that a hair under US$2,000. This is a go-anywhere, do-anything watch that you know you'll be able to be proud of even if your collection grows into the stratosphere. 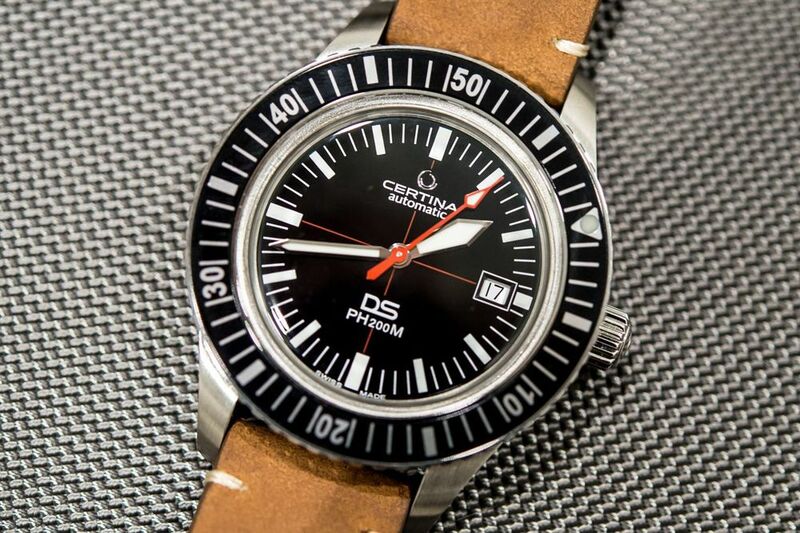 For anyone with a taste for classic dive watch design, the Certina DS PH200M would make an excellent starter watch. 42.8 mm wide in steel with a date at three, 200 meters water resistance, and a vintage-effect acrylic crystal, the DS PH200M rocks the Swatch Group's Powermatic 80 movement (the one with an 80-hour power reserve). Priced at an all-too-reasonable CHF695 (US$700), Certina even throws in a NATO for days at the beach and a Pelican-style hard case for storage. As Certina is not sold in America, those stateside should consider calling the old country, making use of any duty-free opportunities, or, you know, trying the internet. It's not often that I have the opportunity to suggest an actual ladies' watch for one of these round-ups, but I am thrilled to say that things are different this year. 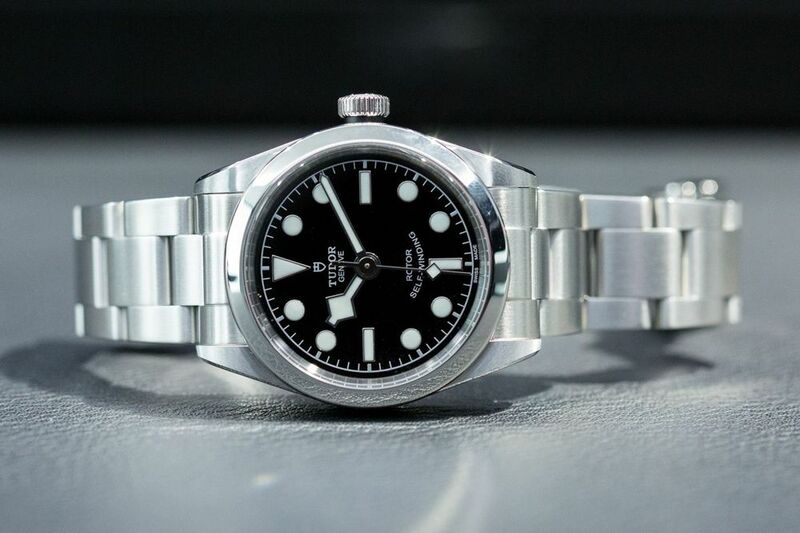 With the rise in dedicated tool watches in smaller sizes, I can honestly say that the Tudor Black Bay 32 is a great starter watch for the slight of wrist and can be yours for US$2,750 on a bracelet and US$2,425 on one of Tudor's awesome fabric straps. This watch is exactly the same as the Black Bay 36 released two years ago(and last year's BB41) but in a smaller 32mm case size. It offers versatility, an automatic movement, and a price point that doesn't suffer from the 'pink tax' too often levied on ladies' watches. Comment on "Buying your first 'real' watch? Here are five to consider..."